Saul Karoo thinks. But understanding eludes. He lusts. And sometimes with success. He drinks. But he cannot get drunk. Karoo is a professional fixer of other people’s scripts and, by his own acknowledgment, he ruins them all. Calamity and comedy follow shambolic Saul Karoo as his life breaks down. But he is not without resources, namely his wit, his ex-wife, and his irrepressible soul, which in its own way is reminiscent of another bighearted broken man of literature: Saul Bellow’s Herzog. Finally, he is a man prone to luck both bad and good, and when a young woman with a strange connection to his past shows up, the plot of his own life comes into sharp focus. 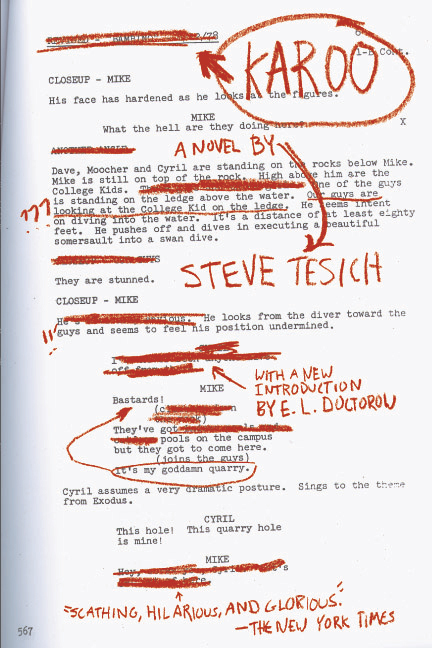 Steve Tesich has grounded his story in the highly recognizable world of New York in the late 1980s, a milieu of unscrupulous producers from the West Coast, dry cleaners, divorce, and fantasies of escape. Karoo is a haunting, highly human, deliciously realistic novel of decline, fall, and rejuvenation. 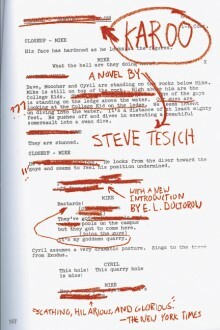 Steve Tesich wrote many plays and screenplays, including the Academy Award–winning Breaking Away and The World According to Garp. His first novel, Summer Crossing, was published in 1982. He died in 1996 at the age of fifty-three.